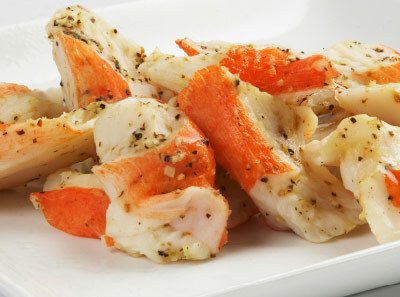 While we are best known as the company behind the Crab Classic brand, Trans-Ocean also produces other popular brands of surimi seafood, as well as offering other seafood items, including smoked salmon and frozen scallops. 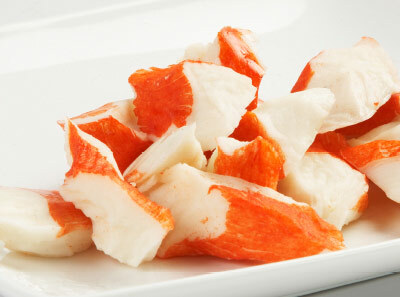 Trans-Ocean offers a wide range of surimi seafood products to meet the needs of foodservice operators, distributors and further processors. We are experienced supplying large volume users such as quick service chain restaurants, fresh salad manufacturers and in-store deli and prepared foods departments. 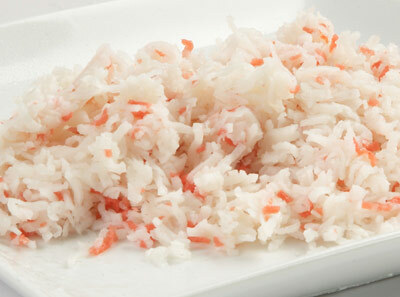 Real crab content to create “seafood & crab” menu opportunities for foodservice operators. Vertical integration from ocean to processing plant provides streamlined and consistent supply of product. Multiple styles including: flake, chunk, shred, leg, and lobster chunks. Wide range of recipes available to meet customer and market requirements; custom recipe development available. Product is available chilled or frozen in 2.5 lbs. bags. Superior seafood flavor and easy preparation for end-user convenience.